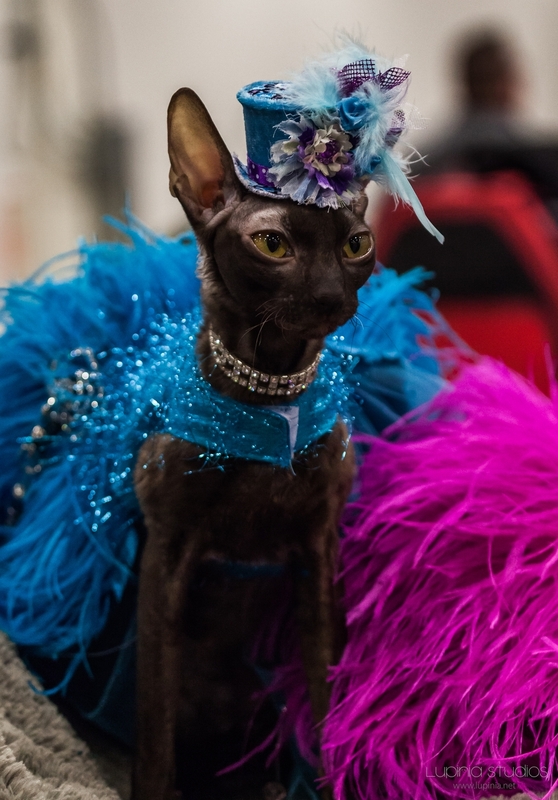 This sphynx clearly knows that she's in change; she's one of two that were being pushed around on a specially-designed kitty-cart. Because a true queen needn't bother herself with something as plebian as locomotion. She has people to do it for her.